Home Conferences April 2019 Faculty April 2019 Alan J. Bauman, M.D. Alan J. Bauman, M.D. is a full-time board-certified hair restoration physician who has treated over 17,000 patients and performed over 8,000 hair transplant procedures since starting his medical hair loss practice, Bauman Medical in 1997. 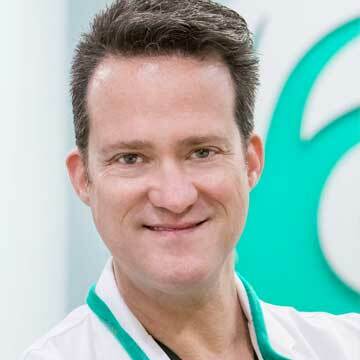 Currently located in Boca Raton, Florida, Dr. Bauman received his M.D. degree from New York Medical College and surgical residency training at Mt. Sinai Medical Center and Beth Israel Medical Center in New York. Dr. Bauman is one of approximately only 200 physicians worldwide to achieve the certification from the esteemed American and International Board of Hair Restoration Surgery (ABHRS), is an accepted member of the International Alliance of Hair Restoration Surgeons (IAHRS), and is also recommended by the American Hair Loss Association. Dr. Bauman has achieved the coveted Fellow status within the International Society of Hair Restoration Surgery (ISHRS) and is a frequently invited faculty member at numerous international scientific meetings and live surgery workshops.